December is guaranteed for at least three things: cold weather, endless holiday cheer, and the inevitable sea of best of lists. Hey, if you can’t beat ‘em, join ‘em! 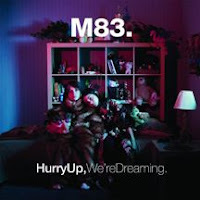 So allow this Press+1 critic to chip in and recommend some the best albums of 2011 that are obvious choices, or a few that may have possibly flown under the radar. Dave Grohl and co. turned back the clock in more ways than one for this seventh studio effort. Not only did they bring in producer Butch Vig who had worked on Nirvana’s Nevermind with Grohl 20 years prior, but the band recorded the album the old fashioned way with analog tape instead of modernized pro-tools. 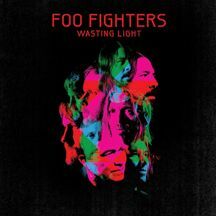 The end result wound up with arguably the Foo’s best album in over a decade. After what was once a side project for singer Dallas Green, it is now officially a full-time gig. 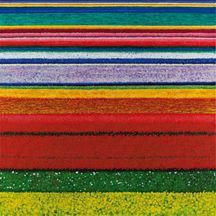 Since handing in his resignation to Alexisonfire earlier this year, this third full length effort from City and Colour simply solidifies Green’s choice to solely concentrate on showcasing his swooning vocals and sweet melodies opposed to playing second fiddle to scream rock. Another fine effort of doom and gloom set to infectious euphoric overtones from this young London three-piece. Produced by seasoned producer Alan Moulder, Ritual doesn’t stray too far off the path from the band’s debut, To Lose My Life, but if it ain’t broke, don’t fix it. 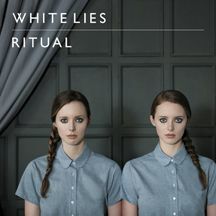 Another huge sounding album definitely worth a look if originally passed by. 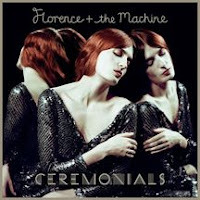 No such thing as a sophomore slump for the fiery red Florence Welsh and her cast of Machines on Ceremonials. At just 25 years old, Welsh’s compositions are way beyond her years and rightfully rank her in a class with the likes of Kate Bush and Stevie Nicks. Key tracks such as Shake it Out and Never Let Me Go are just keys examples of just how strong of an album this is. Team Liam vs. Team Noel. The singer vs. the songwriter. After endless media pot-shots since the split of Oasis in 2009, this was the year for Liam and Noel Gallagher to put their money where their mouth is and show who could make the better album without the other. The end result? 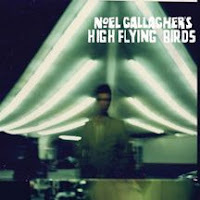 Noel Gallagher’s High Flying Birds is on this list and Beady Eye is not. Enough said. 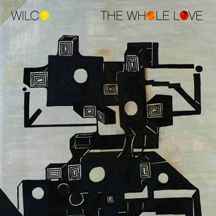 With Wilco often dubbed as the “American Radiohead,” and singer Jeff Tweedy heralded as one of the best American songwriters of our time, it’s always a treat whenever Wilco releases a new album. 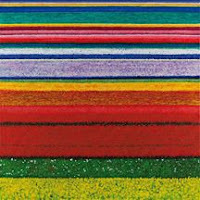 On studio effort number eight, The Whole Love undoubtedly lives up to the consistent and interesting standards the band have always been known for. Tracks Art of Almost and lead single I Might are just a few examples of Wilco brilliance at its best. 4. M83 - Hurry Up, We're DreamingLA based French musician, Anthony Gonzalez, under the moniker of M83, has followed up 2008 breakthrough Saturdays = Youth with yet another synth-pop, dreamy shoegaze offering with Hurry Up, We’re Dreaming.Gonzalez has described this ambitious 22-song double album as a brother and sister companion piece, each with having a sibling on the other disc. As most double albums generally sound bloated, there’s not many areas on this album where it could actually be trimmed down. 3. Fleet Foxes - Helplessness BluesEarthy, harmony-rich and heavily bearded pretty much sums up Seattle’s Fleet Foxes who have showed anything but a sophomore slump on Helplessness Blues. 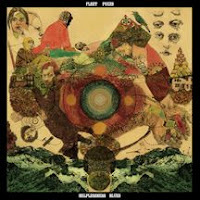 This album showcases the band’s maturity of beautifully well-crafted folk songs, and contain such pin-point harmonies that would even make the Beach Boys envious. Sheer excellence. 2. Adele - 21What can be said about Adele that hasn’t been already said? And what a year it's been for the English singer-songwriter. 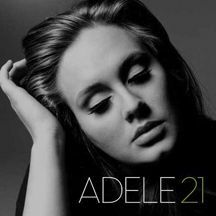 An absolutely massive album inspired by heartbreak, 21 truly speaks for itself. These songs are heard everywhere and completely overplayed, but an album undeniably filled with so much emotion and passion, it’s near impossible to become tiredsome. She’s one incredibly grounded and down-to-earth individual despite all that fame which makes it impossible not to appreciate her all that much more. If there’s a more alluring, a more soothing, and a more moving arrangement of songs that’s been released in recent memory, please come forward and show yourself. Until then, Wisconsinite woodsman and falsetto crooning Justin Vernon, who records under the handle of Bon Iver, easily holds that title. 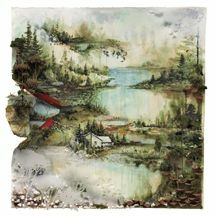 Having gained critical acclaim since 2008 debut, For Emma, Forever Ago, this self-titled second effort has not only upped Bon Iver’s notoriety amongst hipsters and music enthusiasts alike, but has even earned the band four well-deserved Grammy nominations next year, including Best New Artist and Song of the Year for Holocene. Bar none, a must have album for anyone who’s a fan of music of any genre, period.